Do you want to keep your website up to day in cost effective way? Orange Mantra offers you the professional support through its CMS services and gives you complete control of the content on your website. By using our content management system, you can not only edit text and images on your website, but can also make it more interactive and appealing. You can stay connected to your existing clients and potential customers 24×7 and 365 days of the year. Whether you own a corporate website, E-commerce website, online magazines and newspapers or any other online portal, we will offer you best solution to your CMS requirements. Our content management system enables you to update your website and takes away any kind of dependency on third party. 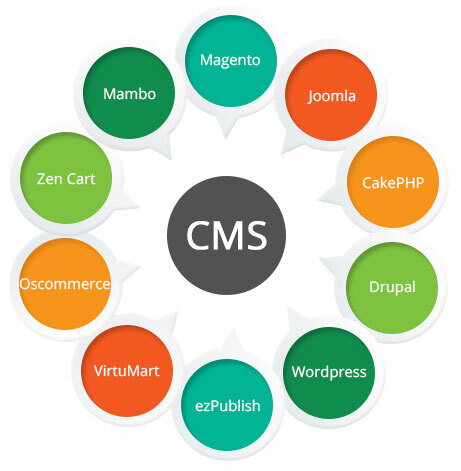 Orange Mantra team has expertise on designing CMS for different platforms including WordPress, Joomla, Drupal, PHP, Zen Cart etc. Besides our own in-house system, we have good knowledge of all popular CMS systems including open source content management system. You just need to tell us the system used in your website; your objective and we will implement it. At Orange Mantra we provide customized content management services With the help of our world-class services you can easily update your site with latest product details, news alerts, job descriptions etc. We provide complete support to our clients in getting best CMS solutions. We make it much easier for them by guiding them with selection of the CMS system, strategic planning, deployment and training.